Yes, actually, I would. 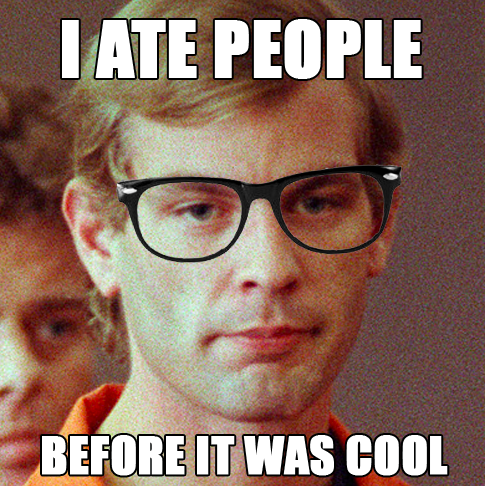 I would eat Brent if it meant one of us would survive (sorry, Brent). But that’s not what’s happening here. Being vegan is a choice that I make every day, every time I walk into a supermarket, a restaurant or a cafeteria. I make that choice because it’s better for my body, it’s better for the planet and last but not least it’s better for the animals. Fortunately for those of us who find that thinking and learning feel good, life is full of grey areas. There are things I don’t eat but not because of my primary reasons for being vegan. Things like honey. 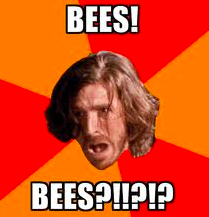 I don’t think that bees suffer when we steal their hard earned honey. I doubt their sentience… or at least that they can suffer the way a fish does when it suffocates or a cow does spending her life chained to he wall of a concrete barn as we steal her babies and milk. I simply prefer maple syrup. I’m from the Northeast, what can I say. So you might be wondering why I’m going on about things that aren’t vegan that I don’t eat for random reasons. There are 2 things I wanted to throw out there to get an idea of how other vegans respond to these issues. Lab grown meat is a phenomenon that would produce cruelty-free meat. Would you eat it if it were commercially available? I know a lot of vegans who would love to eat bacon from time to time. How does this compare? Would the resources be better spent elsewhere? The other question is something that comes up when I talk to people who are crazy about the paleo diet. 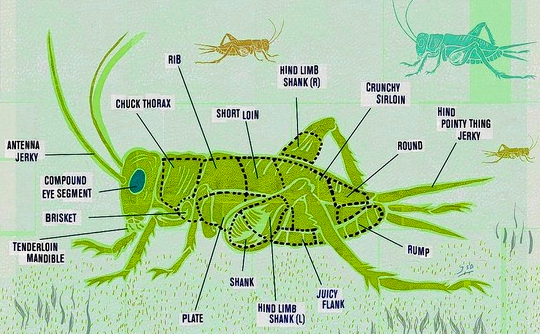 Why does the paleo diet ignore insects, worms and other bugs? Eating bugs is a major component of many diets by domesticated and wild humans alike… except in Westernized cultures. Our closest living relatives (evolutionarily speaking) also eat a diet consisting largely of bugs and foraged fruits and vegetables. I’m talking about chimpanzees. 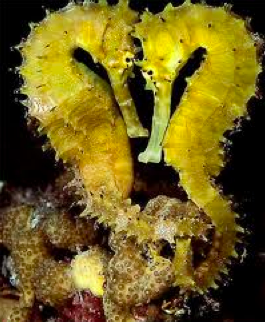 They’re kind of amazing… like seahorses. As a vegan, would you eat bugs? Chocolate covered ants? Fried grasshoppers? Are they as capable of suffering as mice? They’re environmentally friendly and inexpensive to grow relative to meat. They can even be grown on lawn clippings, rotting wood and other things humans often consider to be waste. They’re also nutritious. Personally, I doubt their sentience but that remains up for debate. Thoughts? Recommended reading?